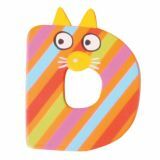 Tatiri letters are ideal to create a personalized wooden gift. 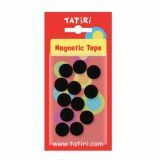 Each brightly colored wooden decorative letter can be attached to a wall, fridge door, bedroom door or even a toy box using Tatiri Sticky Tabs (TA002) or Tatiri Magnetic Sticky Pads (TA001). 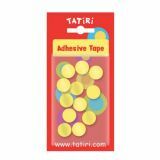 Tatiri letters are available in four designs: Spots and Stripes, Crazy Clowns, Crazy Birds and Crazy Animals. Not a toy. Designs may vary.